The MSTA tennis courts are available year-around, weather permitting, unless previously booked for a tournament or other such group activity. Check the Tennis tab for more information on special events, clinics, classes and tournaments from spring through the fall. If you would like to access the courts when the club is closed you can purchase a key to the main gate from the club by completing the Gate Key Request form under the About: Forms and Downloads page. 8 and unders 4:45 — 5:30 p.m.
9-12 year olds 5:30 — 6:30 p.m.
13 and overs 6:30 — 7:30 p.m.
Saturday, OPENING DAY 10:00 a.m. - 9:00 p.m.
Monday, MEMORIAL DAY 10:00 a.m. - 9:00 p.m.
Monday – Friday 2:00 p.m. – 9:00 p.m.
Saturday & Sunday 10:00 a.m. – 9:00 p.m.
** All pools will OPEN on Saturday at NOON on June 15 after Marlins home meet. Main Pool 12:00 p.m. – 9:00 p.m.
Saturday & Sunday (All Pools) 10:00 a.m. – 9:00 p.m.
** All pools will OPEN on Saturday at NOON on June 15, June 29, and July 6 after Marlins home meet. ** All pools will CLOSE on Monday at 4:00 p.m. on June 24, July 15, and July 22 before Marlins home meet. 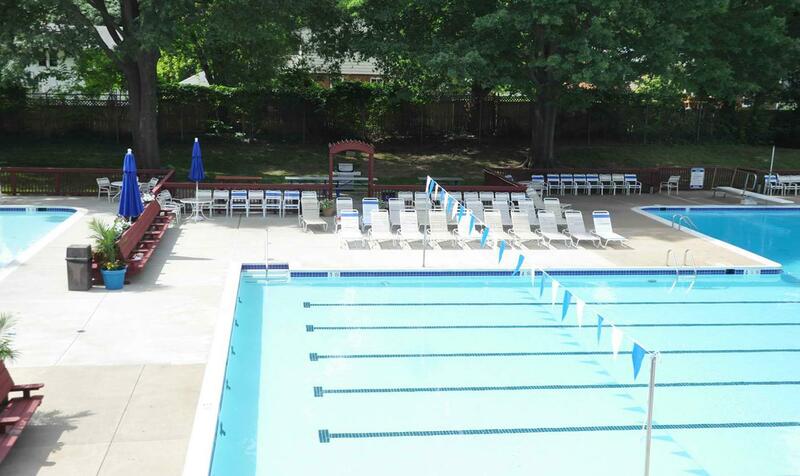 Monday – Friday (All Pools) 10:00 a.m. – 9:00 p.m.
Monday – Friday (All Pools) 2:00 pm – 9:00 p.m.